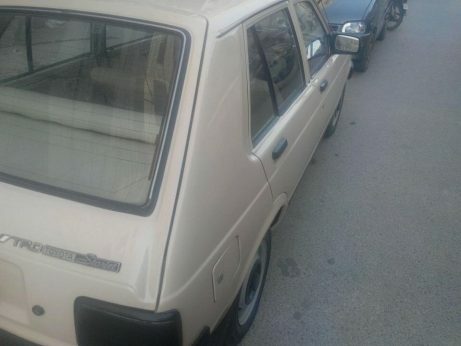 The fourth generation Starlet P80 was introduced in Japanese market in December 1989. It featured a more rounded body style and interior. Thanks to computer aided design (CAD) the new Starlet P80 featured a more rounded appearance that contributed to a drag coefficient figure of Cd 0.34, one of the lowest in its class. The previous generation P70 was Cd 0.37. 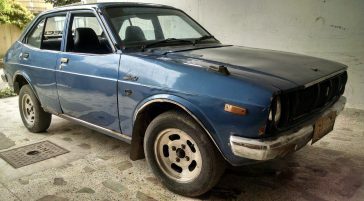 Japanese models received new 1.3 liter twin cam 4E engines in both turbocharged and naturally aspirated forms, however export models retained the 1E and 2E engines. 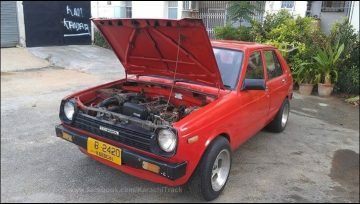 A 1.5 liter 1N diesel engine was also offered with the Starlet for the very first time. The monocoque body shell was extremely rigid and comprised of 82 per cent galvanized steel, while inside the rounded instrument panel looked cutting-edge compared to the angular appearance of the previous model. It was more ergonomic too, with the switches and controls up to 75mm nearer to the driver and arranged more logically. 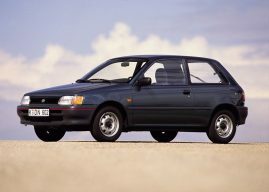 By the end of 1991, Starlet production stood at 2,333,538 units and was increasing at a rate of over 181,000 per year. 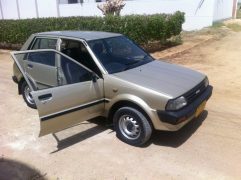 A facelift was introduced during the second quarter of 1992 with added door beams and an energy-absorbing steering wheel to the Starlet’s safety features. 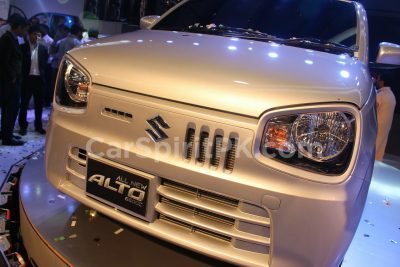 as well as body-protecting side molding fitted as standard. 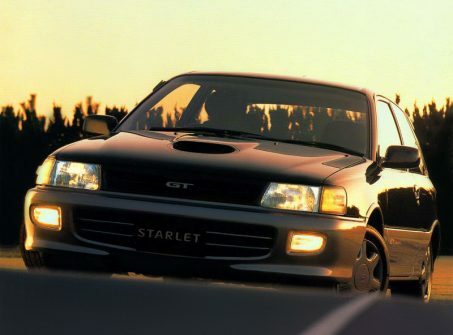 The Starlet GT turbo was a high performance version of the fourth generation Starlet P80, called the EP82. It was powered by a 4E-FTE engine with a CT9 turbocharger. This engine produced nearly 133 hp at 6,400 rpm, while the car weighed in at only 890 kg, providing a greater than 100 kilowatt per ton power-to-weight ratio. 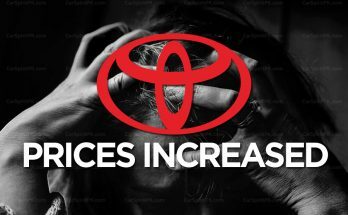 Toyota’s active suspension technology called TEMS was used to enhance the handling abilities. 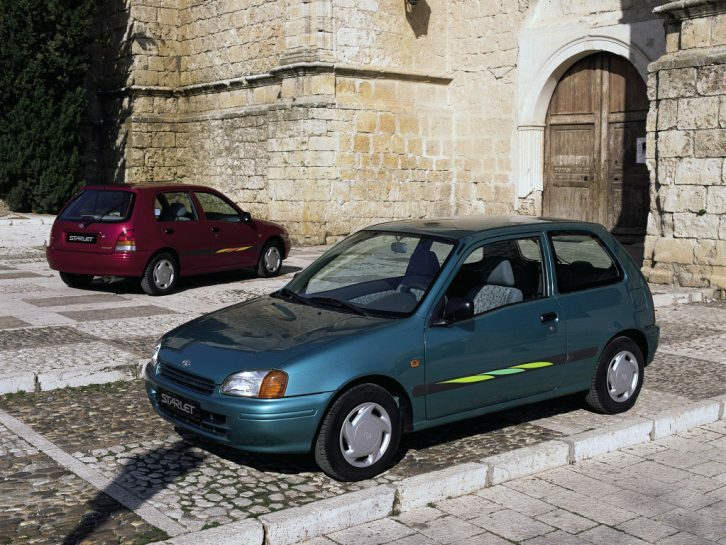 The fifth generation Starlet with a P90 code was introduced in January 1996. 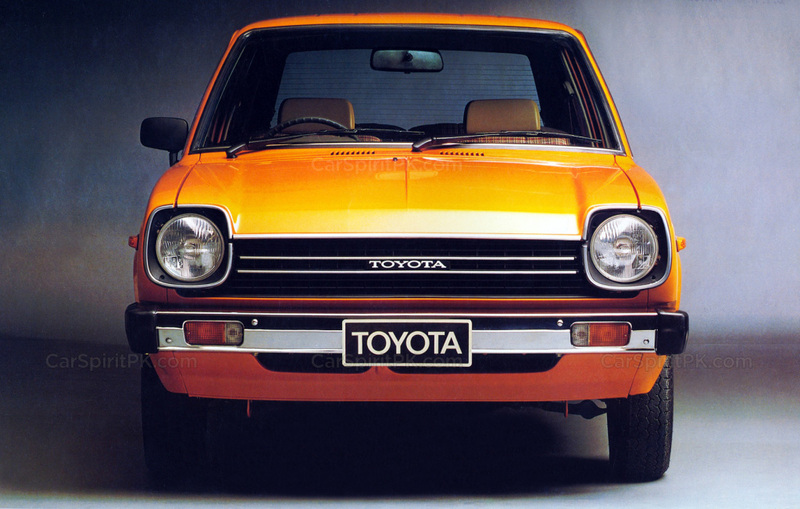 By this time, nearly three million Toyota Starlets had been sold in around 68 countries. The engines were carried over from the previous generation with transmission options ranging from 4/5 speed manual and 3/4 speed automatic. A facelift was introduced in May 1998 with minor cosmetic and major safety improvements. It met the latest offset deformable barrier crash test and increased occupant safety standards. 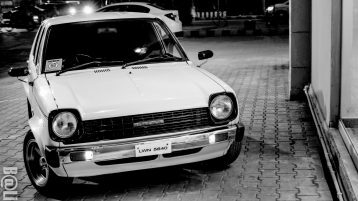 While power steering was fitted to all models, ride comfort, stability and braking performance were improved with alterations to the front and rear suspension. 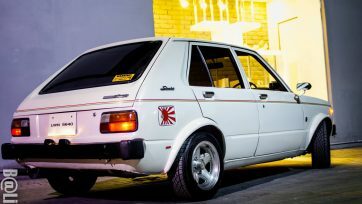 The P90 Starlet set a new record for Toyota with a design-to-production time of just under two years. 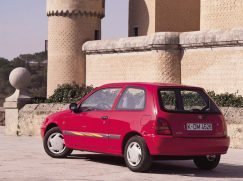 However it also has the shortest production span among all Starlet generations as it was produced for hardly 3 years before the production officially came to an end in July 1999. 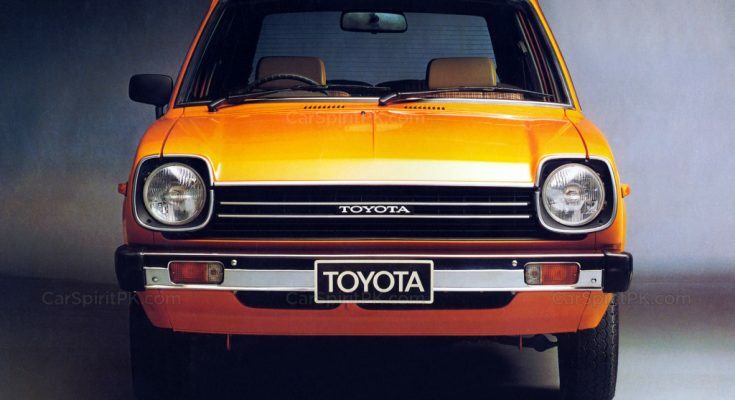 After a production run of 26 years, the Starlet nameplate was retired and got succeeded by the Vitz, which was labeled as Yaris for export markets. 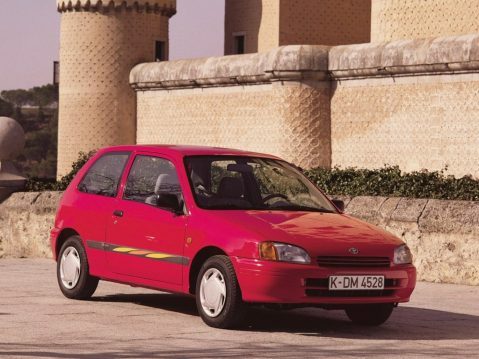 The Vitz remains a popular car in Pakistan having first appeared during the previous decade as used JDM import. Every generation of Vitz have seen a tremendous success in our country, despite the vehicle not being assembled locally and available without warranty. 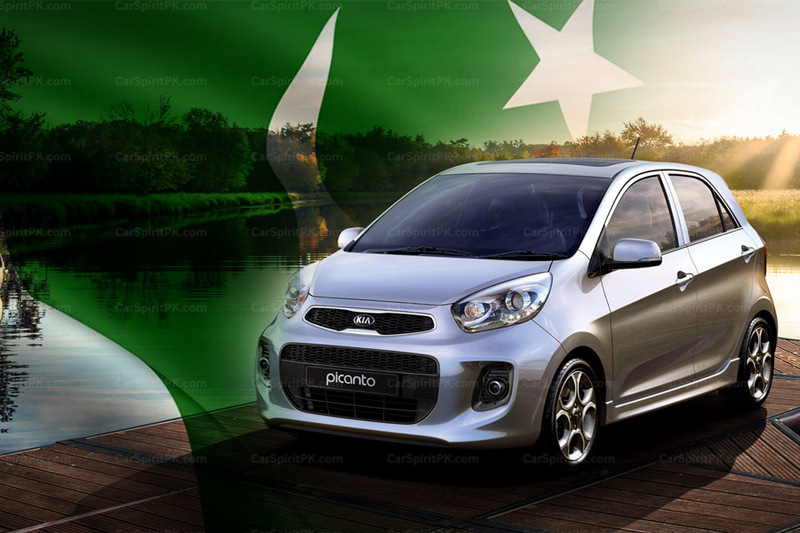 Currently in its third generation, the Toyota Vitz remains the most popular imported vehicle in Pakistan. As many as 8,680 units arrived in 2017, which was 40% more compared to previous year. 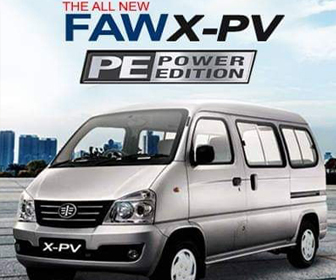 Despite being immensely popular as a used import for more than a decade, Indus Motors, the assemblers of Toyota cars in Pakistan have never considered introducing a local assembled Vitz here. 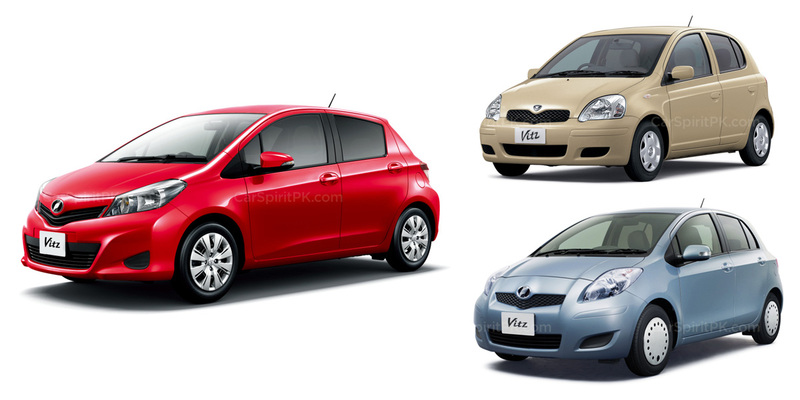 Although many believe the local assembled Vitz can never match the JDM ones in terms of quality and features on offer, which remains true to be honest. 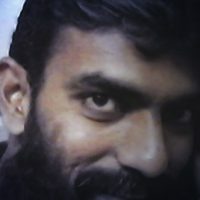 However the local assembled Vitz can take the popularity of the hatchback in Pakistan to another level. 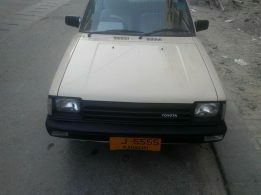 Nevertheless, one way or the other, Toyota Starlet and its successor (Vitz) in different generations, have ruled the hearts of people in Pakistan. 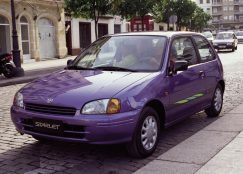 Starlet was a wonderful car. very rugged and reliable. we kept two in the past, 1: 1980 model white from ’84 to ’89 then another ’84 model blue metallic from ’91 to ’97.